Spanish Bundle: Around Town / En la Ciudad: 6 Resources @30% off! 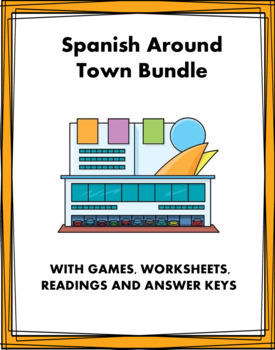 This Spanish bundle includes all 6 of my resources based on vocabulary around town at 30% off! 5. Reading: A dónde van?